I imagine by the time I'm finished presenting my current queue of FOs (one to go), I'll have another line-up of socks to photo through! It's all good! I love this pattern! Love, love, love it!! Look at those perfect stripes!! I heart this color!! I was under the weather this weekend, which is a total bummer as it was a pretty nice weekend here in the Pacific NW. We did get a little hike in before things went downhill though! Thank goodness for Glee from Netflix and Law and Order: CI marathons on TV!! All is well now, and I'm ready, ready, ready for American Idol tonight!! If you didn't vote last week, tonight's the night to start! They are just lovely! That colorway is fantastic. We love us some good picots! I've just recently found your blog (Anne Hanson sent me), and it's been delightful. I have the Cotty's on my list too. 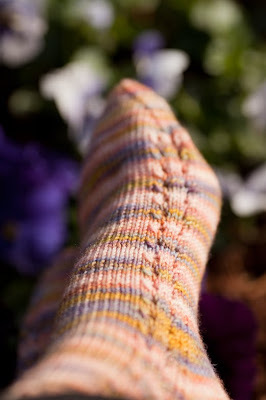 That's one of the prettiest pair of Cotty Socks I've seen yet. Gorgeous! Cotty is one of my favorite patterns. 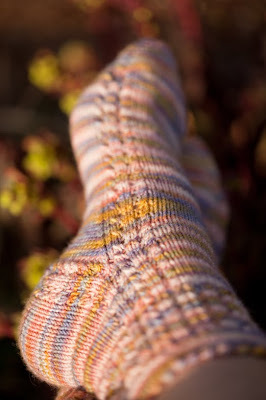 The Sassafras is so pretty; I may have to make a pair of Cotty after all! Do use all your socks Gail?...you must have a hundred pair. 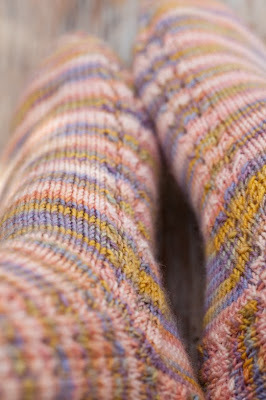 ..and if so, how do you choose in the morning- that would be sock paralisis for me, they are SO beautiful! 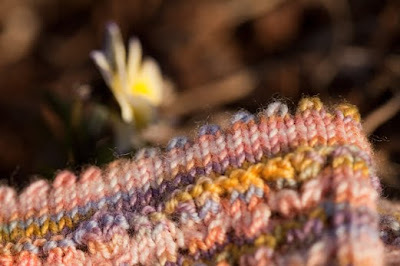 I cant get enough of those picot edges. just finished my Cascadias off with it. 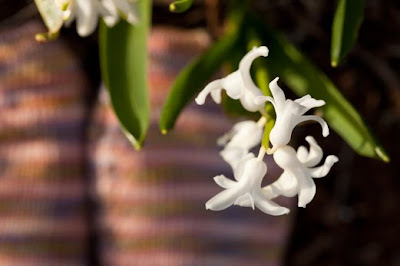 Love the Picot! Well, you know what I am going to say! 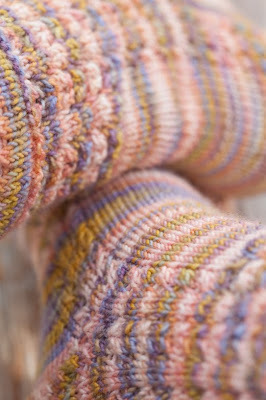 The socks, the picot, the yarn, the pattern only compliment your eye and ability to capture them! 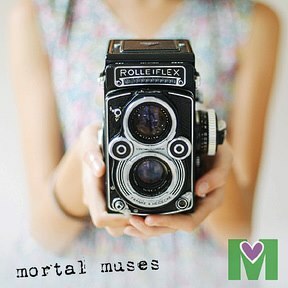 Beautious photos! Wow. Just a big ole wow. 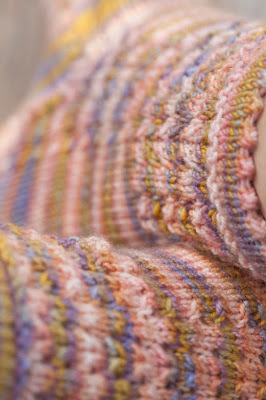 Your photos and that sassafras make the pattern just pop!! I heart it so! May be my favorite pair of Cottys yet. And boy am I glad I ordered the Sassafras. I <3 your Cottys and your photo shoot. Glad to hear you're feeling better. wow again. 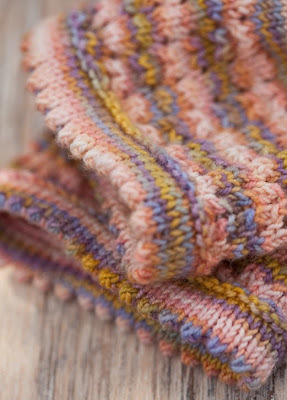 i love looking at your knitting! i might try my first pair of socks soon!! 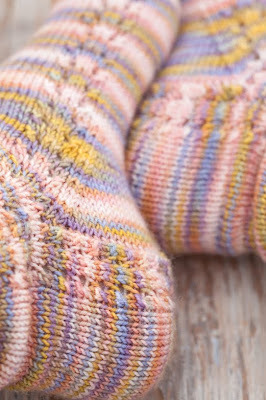 do you remember making your first pair? ?